Connect-4 (Connect-Four) is an interesting game for several reasons. 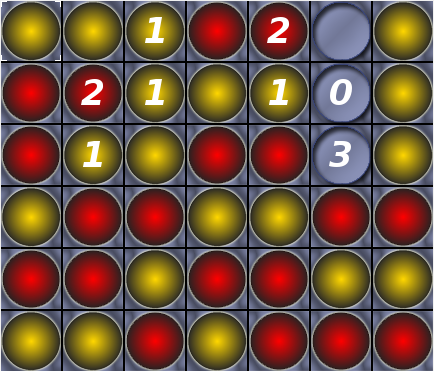 It is a non-trivial game, most humans will have difficulties to play well against a master level player (human or computer). At the same time it is of medium complexity (4.5·1012 states). It can be solved by tree-based methods (minimax, alpha-beta pruning). Over the last years we have worked on a Java-based Connect-4 framework which makes it easily to develop, test and play with trainable Connect-4 agents. This work is now ready to be shared with other interested researchers or game-playing users. You can download it for your own research from this GitHub link. "Why another Connect-4 program? ", you might ask. There are many Connect-4 realizations, but – at least to our knowledge – no other one which incorporates a fast-playing perfect player. This player can be used to benchmark the strength of other, self-trained agents. We derived a variety of trainable agents (more details in our recent TCIAIG-paper "Online Adaptable Learning Rates for the Game Connect-4"). We have developed the framework in such a way that it is for an experienced Java programmer fairly easy to add his / her own agent. Once added, several methods for evaluation are at the disposal of the user. So we want to encourage with this Connect-4 framework other researchers to benchmark their game-playing agents against other Connect-4 agents with well-known strength. If you are interested in having your Connect-4 agent being added to the C4GPF framework, feel free to contact us via eMail. IEEE Transactions on Computational Intelligence and AI in Games, 8 (1), pp. 33-42, 2016, (accepted 11/2014). Bartz-Beielstein, T; Filipic, B (Ed. ): PPSN'2014: 13th International Conference on Parallel Problem Solving From Nature, Ljubljana, pp. 292–301, Springer, Heidelberg, 2014. Preuss, Mike ; Rudolph, Günther (Ed. ): CIG'2014, International Conference on Computational Intelligence in Games, Dortmund, pp. 84 – 91, 2014. Coello Coello, Carlos ; Cutello, Vincenzo ; others, (Ed. ): PPSN'2012: 12th International Conference on Parallel Problem Solving From Nature, Taormina, pp. 184–194, Springer, Heidelberg, 2012. GECCO '09: Proceedings of the 11th Annual Conference Companion on Genetic and Evolutionary Computation Conference, pp. 2641–2648, ACM, Montreal, Québec, Canada, 2009. 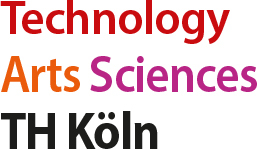 Cologne University of Applied Sciences 2009. Rudolph, Günter ; others, (Ed. ): PPSN'2008: 10th International Conference on Parallel Problem Solving From Nature, Dortmund, pp. 478–487, Springer, Berlin, 2008. Cologne University of Applied Sciences 2008.